First published as a scholarly translation from an ancient Italian text, this tale of a fatal prophecy set in the time of the crusades inspired terror in its early readers. 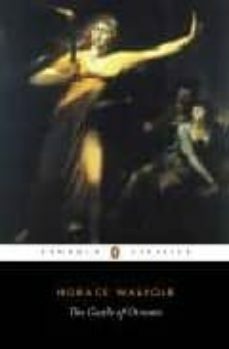 On receiving a copy, the poet Thomas Gray wrote to Walpole admitting that he was "afraid to go to bed o'nights", little suspecting that his friend was the novel's true author. With The Castle of Otranto, Walpole established the Gothic as a literary form in England. The eerie architecture of the castle and its adjacent monastery, the guilty secrets and unlawful desires of its inhabitants, and the supernatural happenings have inspired writers in this tradition from Ann Radcliffe and Bram Stoker, to Daphne Du Maurier and Stephen King.